Why Did Nephi End His Sacred Record with His Testimony of the Redeemer? As Nephi finished his record, he had spent more than a decade reflecting on his many incredible, faith-building experiences (2 Nephi 5:28–34). He and his family had survived the Arabian deserts, crossed vast oceans, and established themselves in a new land. Reflecting on his nearly complete record, Nephi felt a keen sense of inadequacy in his writing and recognized the need for the Holy Ghost to carry his words to the hearts of his readers (2 Nephi 33:1–5). Knowing he was writing his final words, Nephi sought to leave his people—and future generations—a final witness of Christ. “I glory in plainness,” he declared, and “I glory in truth.” Most significantly, though, he professed, “I glory in my Jesus, for he hath redeemed my soul from hell” (2 Nephi 33:6). Already at this point, Nephi has made the public testimonies of himself, his brother Jacob, and Isaiah the central focus of his record. Here, the record is more personal, because the atonement was deeply personal for Nephi—he gloried in his Jesus, who redeemed his soul. Nephi keenly felt the need for a Redeemer for he had lamented his personal sins (2 Nephi 4:17–19). Nephi’s knowledge of the Redeemer came from a variety of sources. First, he knew of the Messiah through the words of his prophet-father. Lehi had spoken “plainly of the coming of a Messiah, and also the redemption of the world” (1 Nephi 1:19). Lehi had foreseen the very time when the Messiah would come and foretold of his baptism, ministry, death, and resurrection (1 Nephi 10:4–12). Lehi expressed his final testimony, at the beginning of 2 Nephi, in the same words used by Nephi at the end of 2 Nephi: “Behold, the Lord hath redeemed my soul from hell” (2 Nephi 1:15). Second, Nephi also learned of the Messiah from the writings found on the plates of brass. Prophets such as Zenock, Neum, and Zenos had each prophesied of the Messiah, and Nephi learned from their words (1 Nephi 19:10–12) how the Son would overcome death and bring to pass redemption and eternal life (Helaman 8:13–20). Nephi particularly revered the prophet Isaiah and felt personally connected to the Redeemer (Isaiah 11:26; 12:12; 1 Nephi 11:27; 2 Nephi 30:12-15) through his Messianic prophecies. He extensively quoted from Isaiah and used his prophecies as a springboard for his own. Finally, but most importantly, Nephi had his personal spiritual experiences which taught him of the Savior. He saw Jesus’s miraculous birth, life, ministry, and death in an angel-guided vision (1 Nephi 11). Nephi had seen his Redeemer (2 Nephi 11:2), and he spoke fondly of the time in which he had “seen his day” (2 Nephi 25:13; cf. vv. 12–14). Later, quite plausibly in a clear and open manifestation in the holy of holies of his temple, Nephi heard the voices of both the Father and the Son testify of the Son and His doctrine (2 Nephi 31:11–15). Nephi’s testimony of Christ compelled him to charity, desiring that all would come unto Christ (2 Nephi 33:8–10). Nephi explained, “we talk of Christ, we rejoice in Christ, we preach of Christ, we prophesy of Christ, and we write according to our prophecies, that our children may know to what source they may look for a remission of their sins” (2 Nephi 25:26). Nephi’s farewell is candid, heartfelt, and passionate. Elder Russell M. Nelson reflected, “Nephi’s personality comes to life as we read his closing testimony. He reveals his strengths, his perceived weaknesses, his frustrations, his delights, and, finally, his sterling commitment to obey God.” His last words give us a glimpse of what he knew to be most important. Here, with the limited space he had left, Nephi chose to bear witness of Jesus Christ. “From his farewell statement we gain insights … into his personal relationship with the Lord.” That Nephi chose to reiterate his witness of Christ here is an indication to the reader that he highly valued his relationship with the Lord and that his testimony should be taken seriously. Such seriousness can be seen throughout Nephi’s record and the prophetic sources he drew faithfully and plainly upon. Nephi’s account is brimming with the significance of Jesus Christ and his mission affirmed through prophetic testimony, parental teaching, scriptural witnesses, and profound spiritual experiences. This gives sincere followers of Christ everywhere a model of spiritual behavior to follow in seeking to gain, build, or strengthen their relationships with Jesus Christ. The counsel of “goodly parents” (1 Nephi 1:1), teachings of modern prophets and apostles, dedicated scripture study, and recognizing personal revelation and spiritual experiences will all help draw us closer to the Savior. Elder Jeffrey R. Holland wrote, “Nephi offered beauty and power in his concluding testimony. 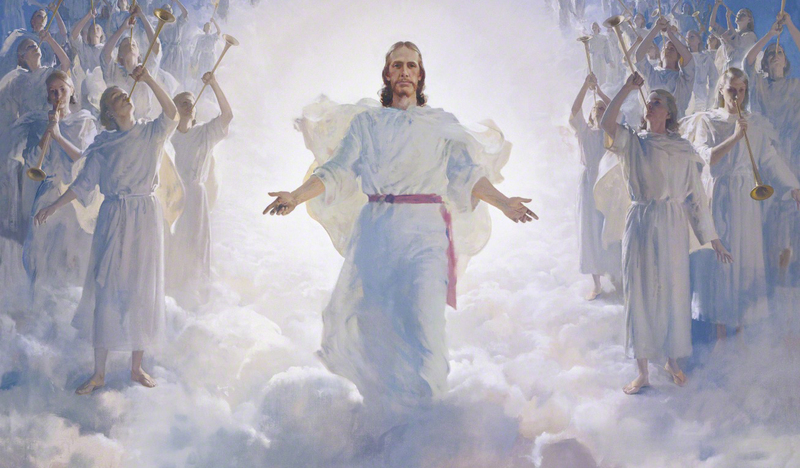 It is a grand climax to a written record and a perfect epitaph to a faithful life.” By following Nephi’s example, disciples of Christ today can join him in declaring, with conviction, “I glory in my Jesus, for he hath redeemed my soul from hell” (2 Nephi 33:6). Jeffrey R. Holland, Christ and the New Covenant: The Messianic Message of the Book of Mormon (Salt Lake City, UT: Deseret Book, 1997), 37–57. H. Dean Garrett, “Nephi’s Farewell,” in Second Nephi, The Doctrinal Structure, ed. Monte S. Nyman and Charles D. Tate Jr. (Provo, UT: Religious Studies Center, Brigham Young University, 1989), 377–390. Book of Mormon Central, “Who are the Witnesses of Christ in 2 Nephi? (2 Nephi 11:2–3),” KnoWhy 37 (February 19, 2016). 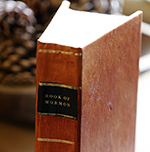 See Book of Mormon Central, “How Did Nephi Read Isaiah as a Witness of Christ’s Coming? (2 Nephi 17:6),” KnoWhy 40 (February 24, 2016). John W. Welch, “Getting Through Isaiah with the Help of the Nephite Prophetic View,” in Isaiah in the Book of Mormon, ed. Donald W. Parry and John W. Welch (Provo, UT: FARMS, 1998), 28–30. The word “plain” or “plainness” had many meanings in Webster’s 1828 American Dictionary of the American Language, including open, clear, without disguise or affectation, honest, sincere, not obscure, easily seen or discovered. In the holy of holies of the temple in ancient Israel, the Son was “manifested in the royal high priests” of the temple. “Several texts do describe how the king was ‘born’ as son of God, or ‘raised up’ in the holy of holies,” revealing among other things how the Father and the Son were “distinguished before the advent of Christianity.” Margaret Barker, Temple Theology (London: SPCK, 2004), 56. H. Dean Garrett, “Nephi’s Farewell,” in Second Nephi, The Doctrinal Structure, ed. Monte S. Nyman and Charles D. Tate Jr. (Provo, UT: Religious Studies Center, Brigham Young University, 1989), 377. Elder Russell M. Nelson, “Nephi, Son of Lehi,” in Heroes in the Book of Mormon (Salt Lake City, UT: Bookcraft, 1995), 14. Jeffrey R. Holland, Christ and the New Covenant: The Messianic Message of the Book of Mormon (Salt Lake City, UT: Deseret Book, 1997), 57.